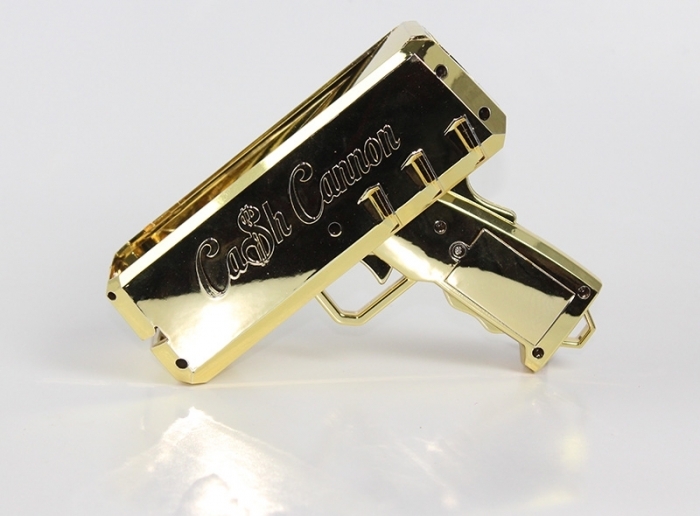 The Cash Cannon Money Gun is a simple and easy to use device. It can be loaded with US dollar bills or any item that is similar in structure. 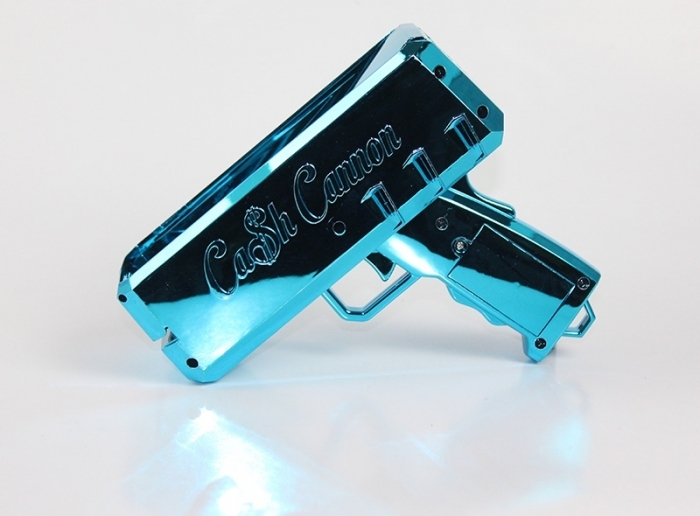 Made of ABS plastic and engraved with the cash cannon logo.